Last month our family spent nearly a month living on the road while spending only Bitcoin. 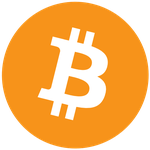 During the course of our travel we were invited via Twitter to make a change to our route so we could experience the cutting edge Bitcoin Boulevard, founded by Nikhil Chand and his amazing wife, Rebecca. 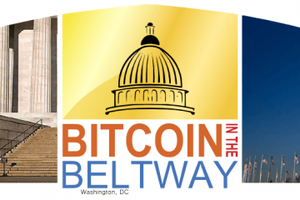 The pair has helped dozens of restaurants and shops set up to accept Bitcoin through BitPay. 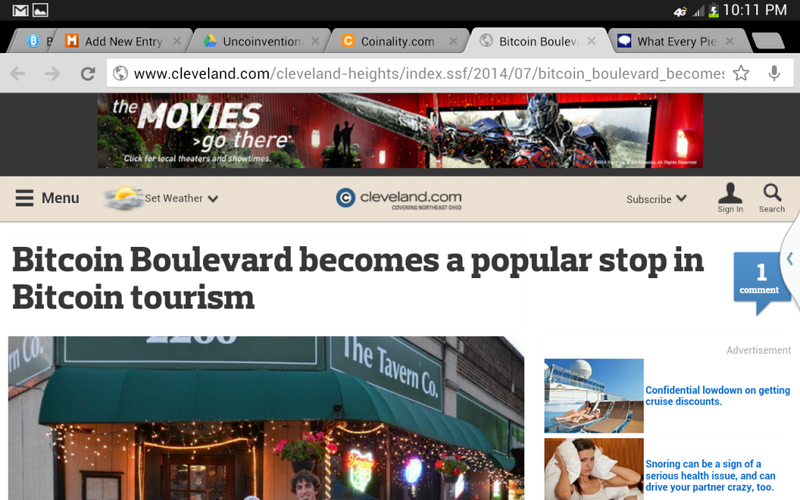 We immediately changed our route to include an overnight stop in Cleveland Heights, Ohio so we could test out the local Bitcoin scene and get to know their community. When we pulled up to their vintage 1920s house, Nikhil and Rebecca were waiting for us in their driveway. They helped us unload then took us on a stroll to Lee Road, also known as Bitcoin Boulevard. Nikhil knew people everywhere we went. Neighbors, store owners, and folks strolling down the street all waved and greeted him with enthusiasm. I believe it is this close connection to his community that allowed him to so quickly launch this inspiring project. Our first stop was The Tavern Company, an amazing Restaurant and Bar in the heart of Bitcoin Boulevard. I got the salmon roll salad and literally devoured every morsel. A reporter for the Sun News met us there. First she talked to my husband John Bush and I about our Uncoinventional Tour, then to Nikhil about his company, CoinNEO and the creation of Bitcoin Boulevard. Her article was also published in the Plain Times. John made the payment via BitPay and we walked down the block to SweetieFry to try some handmade ice cream on BTC. This ice cream shop had a very unique and diverse set of flavors including French Toast! I had the dark chocolate and peanut butter flavors while my daughter enjoyed Strawberry. Once again we paid BTC directly through BitPay. Neither of these establishments had trouble accepting our payment and seemed casually accustomed to receiving payment with BTC. While we walked back to Nikhil and Rebecca’s house, John interviewed Nikhil for his Let’s Talk Bitcoin podcast, SovereignBTC. You can listen to the interview here when it is live. That night we enjoyed the company of our hosts while our kids played with their adopted dog, Clive. John showed Nikhil his NXT wallet and they geeked out on the bidding and sales system for this thriving non-BTC crypto currency. Our friend Mark thoroughly introduced us to the currency while we attended PorcFest and John has become passionate about showing others how it works. When we woke, Rebecca made us espresso in her French Press. They were heading off to their respective jobs and we had to depart for our long journey to Saint Louis, Missouri. They recommended a breakfast joint called the Katz Club Diner, further down Lee Drive, part of Bitcoin Boulevard. What a great recommendation: this might have been the best meal of our trip to date. They offered local foods and had many gluten free options! Our kids got the pancakes that had local cherries and syrup on them. I had an egg scramble dish with goat cheese, black beans, and crispy tortillas underneath. I felt like I could have stayed there and ate all day. We purchased our meal easily with Bitcoin through their BitPay application on an iPad, but only after getting two gluten free cookies for the road. This was one of the most expensive meals we had on the trip, over $75 with the tip, but very much so worth it. In review, if you are wanting to dine on BTC, Cleveland Heights is the place to go. Every bite of every meal was simply amazing. What a fabulous detour on our journey. Thank you Nikhil and Rebecca for the invitation and the hospitality!